Learned that New Eyes Old Skies closed the store, the brick-and-mortar store. They are still operating but online only. 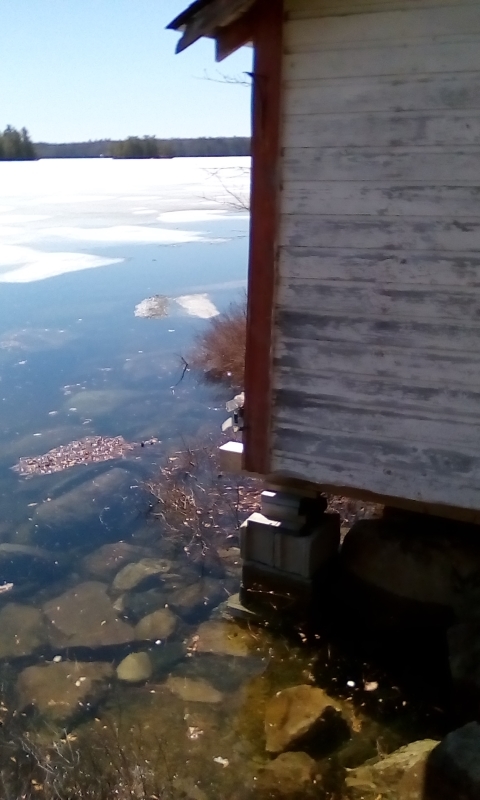 Checked the pinhole camera overlooking Kosklong Lake. Looks OK. We plan to tear it down during the Strawberry Social. The camp peeps are keen to see the result. Heard some of the roads about the Carr Astronomical Observatory have a metre of snow. Wow. Watched the RASC Toronto Centre meeting, streamed it online. Enjoyed Phil's talk on planned upgrades to the CAO. Was fascinated by Tom's talk on thin, meniscus mirrors for fast telescopes. Was pleased when my question in the chat was forwarded to Tom. The raw video is available for viewing. Spotted the gibbous Moon rising between buildings on the east side of main drag. Meh. Charged BGO with shooting 4216 again. A satellite ran through it 20 May '17. I wanted to revisit again to get more data. 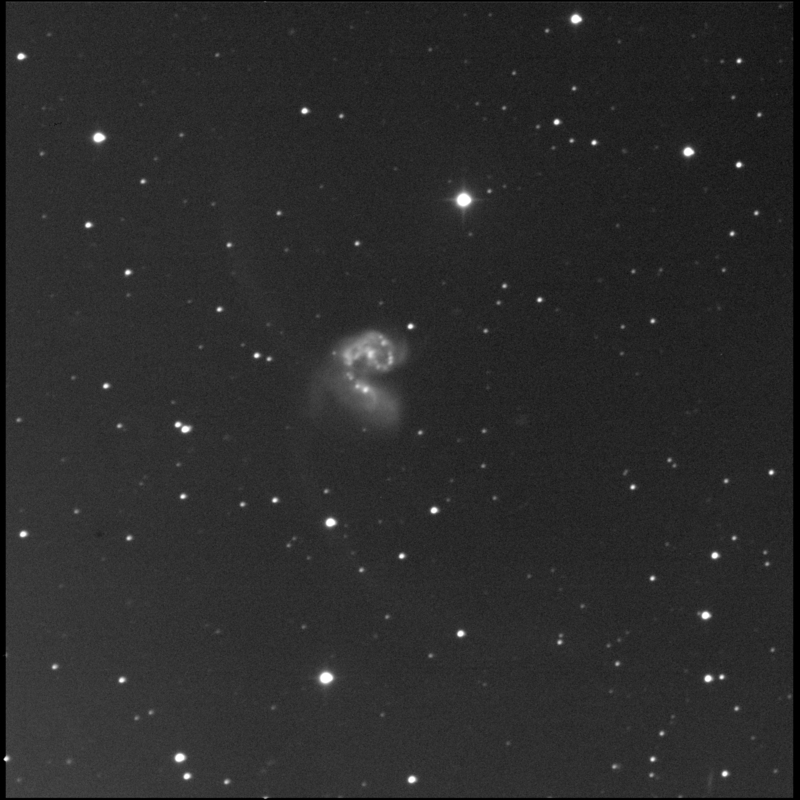 I sent the BGO robot back to NGC 4039 and 4038, The Antennae galaxies, to hopefully improve from previous attempts. 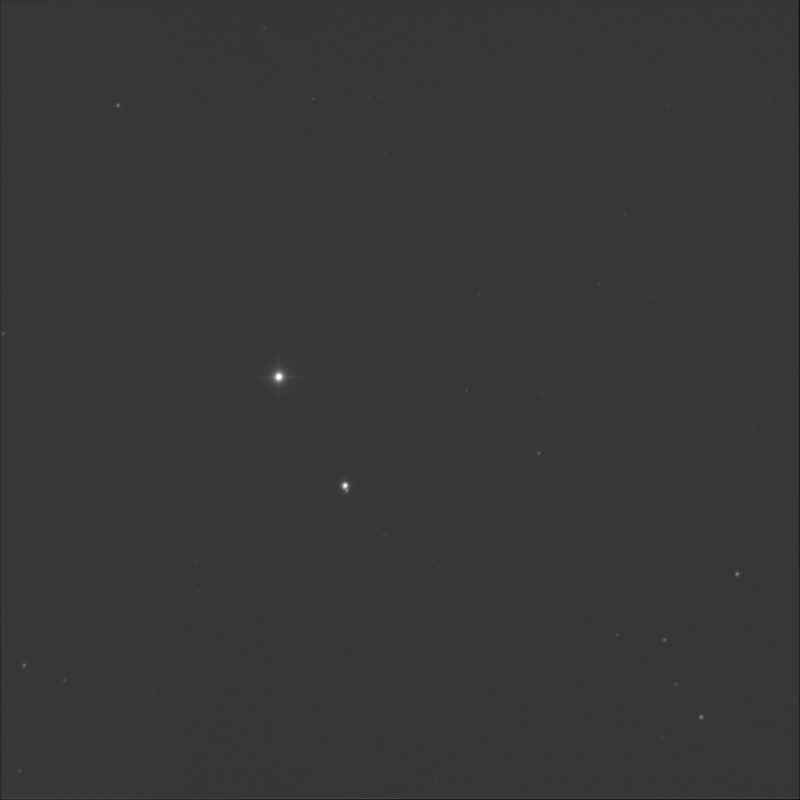 Imaged on 22 Dec '17, 27 Jan '18, and 27 Feb '18. The good weather we deserved in Ontario rolled into Nova Scotia. 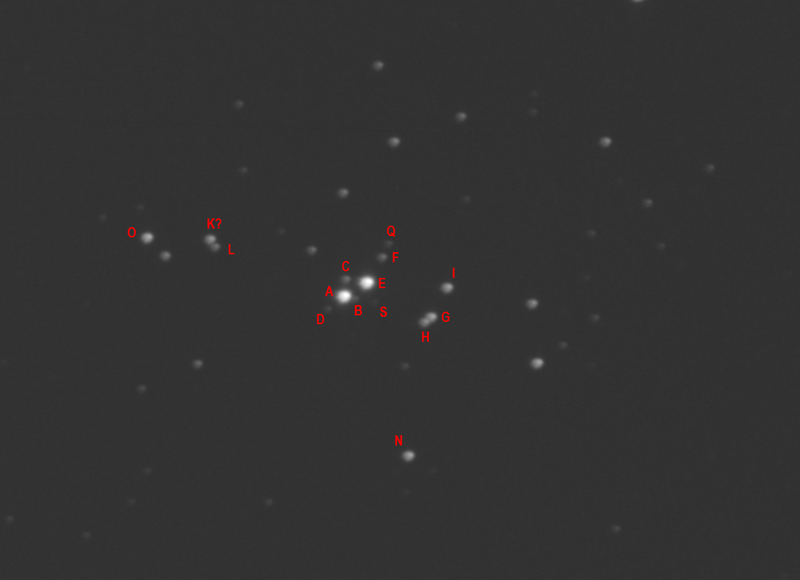 The Burke-Gaffney Observatory started off for me on a multi-star system, 27 Hydrae, by centring on GSC 05463 00209. I was hoping to split the B and C elements. 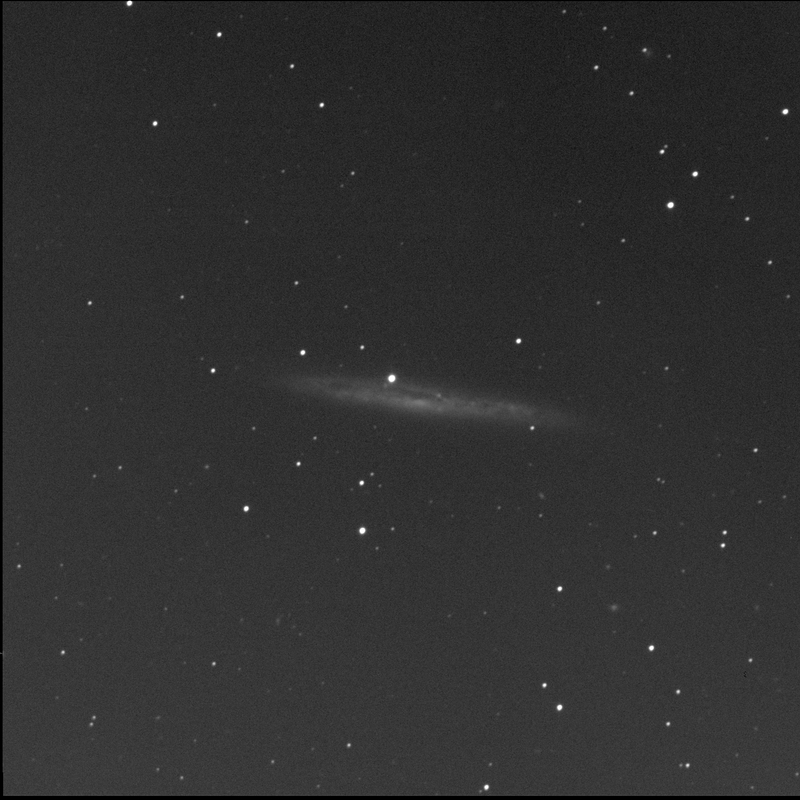 I was not able to split B and C from the backyard on 19 Mar '18. No problem in the image! South-south-west of B. It is clearly very faint compared to the second star. 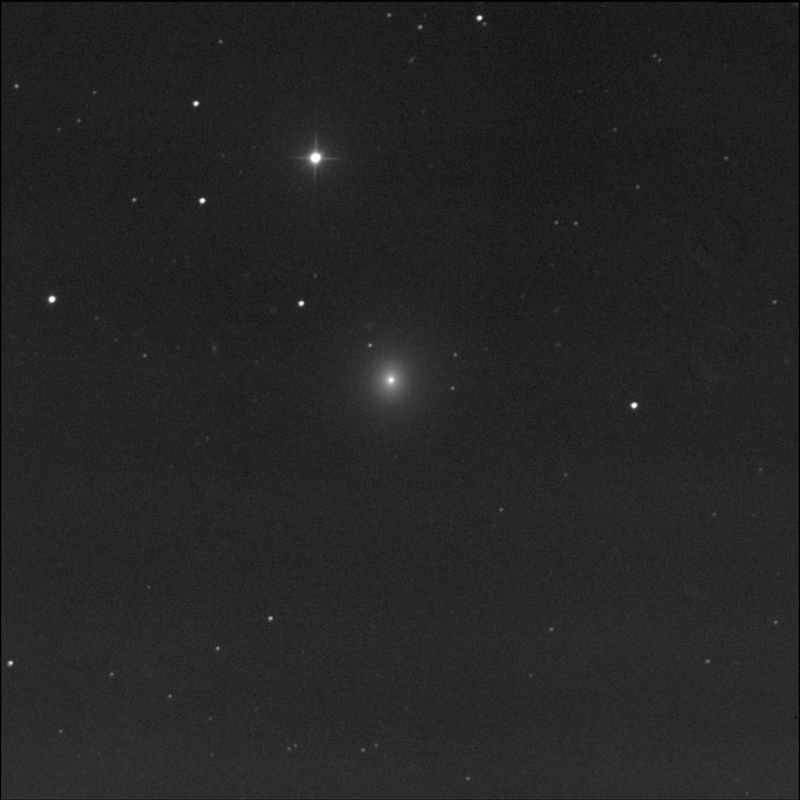 Similar in brightness to nearby magnitude 12 stars. Watched Tony's video, on Facebook, of the TESS launch. Very nice. Noted the time delay for the sound. Took about 30 seconds. Here's the beauty that launched the Transiting Exoplanet Survey Satellite into space. Looks like it hit the centre of the bull's eye. Stumbled across the Micro Macro web page developed by the NASA Chandra X-ray Center. They compare a few things at the nanometre then kilometre or light-year scales. Neat. 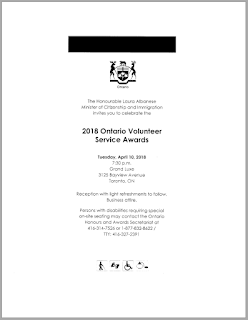 Finally sent a thank-you note to RASC Toronto Centre awards committee for the OVSA award. 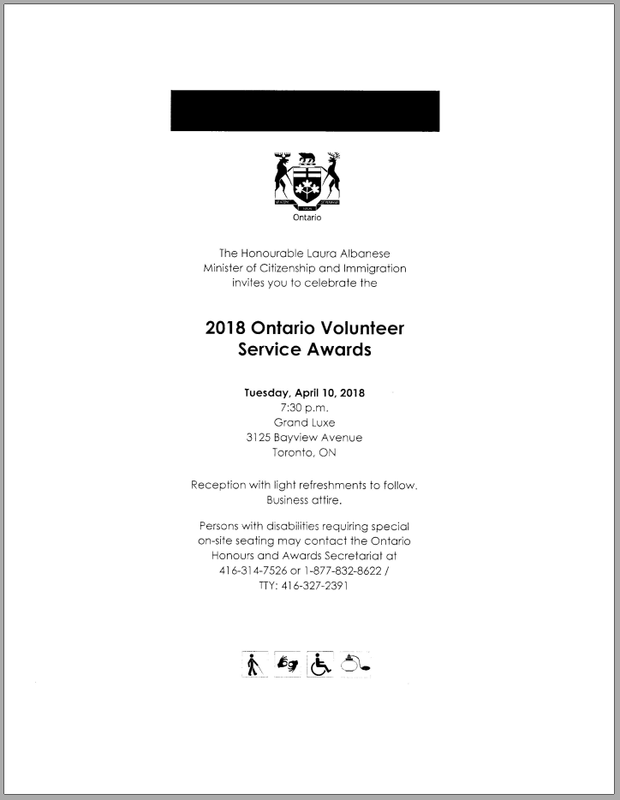 Out of the blue, received an email from Tenho of Saskatoon, which he also shared with the editor. He said he "found something so useful [that] I thought I should write about it." 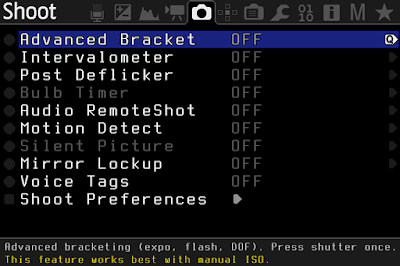 On reading my Binary Universe article in the October 2017 Journal entitled Hacking your Canon P&S, Tenho followed up the mention of the Magic Lantern software for Canon EOS cameras. 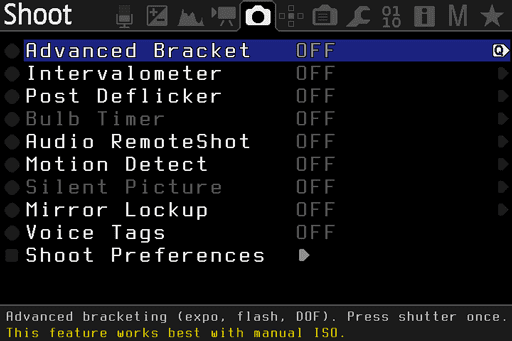 He hacked his Rebel T5i/700D primarily so to have an on-board intervalometer. This means he can now operate his camera without an external accessory. Nice! It's good to hear from readers. But it especially interesting this note as the reference to ML was incidental. Suggested he look for the red light mode setting! Redo. Removed the old cross-hairs from the Celestron 6x30 finder scope. Added a new one—thank you Rhonda. Glued with Home-Bond Solvent Contact Cement. I had broken one of the cross-hairs during the barn door tracker upgrades last weekend. Charles shared a screen snapshot on Facebook. Very cool to see TESS listed on the Deep Space Network. 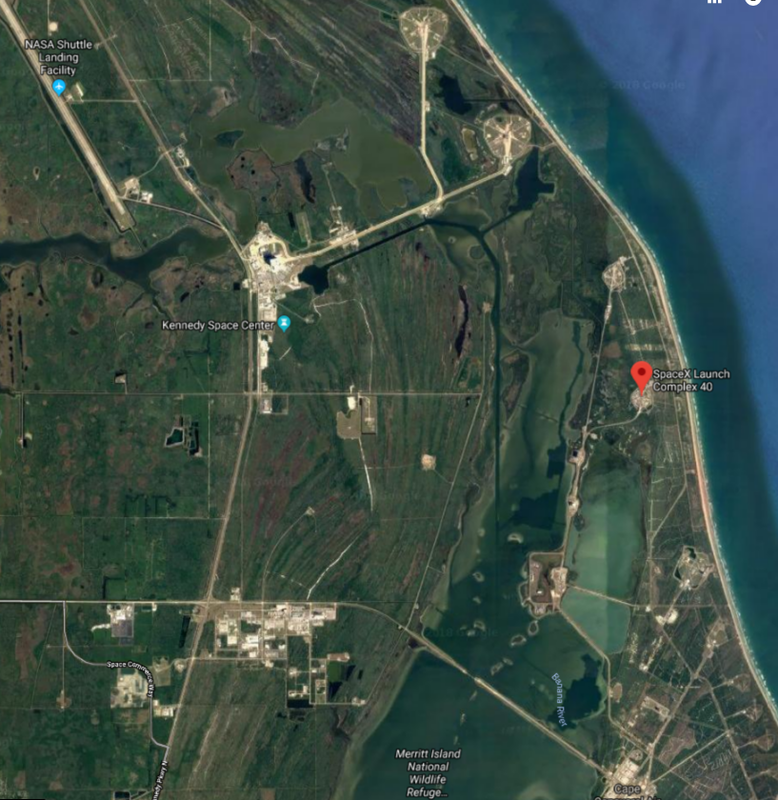 The TESS spacecraft is receiving power generated by its twin solar arrays and ground controllers are [pouring] over telemetry as they check out of the spacecraft's systems following launch. 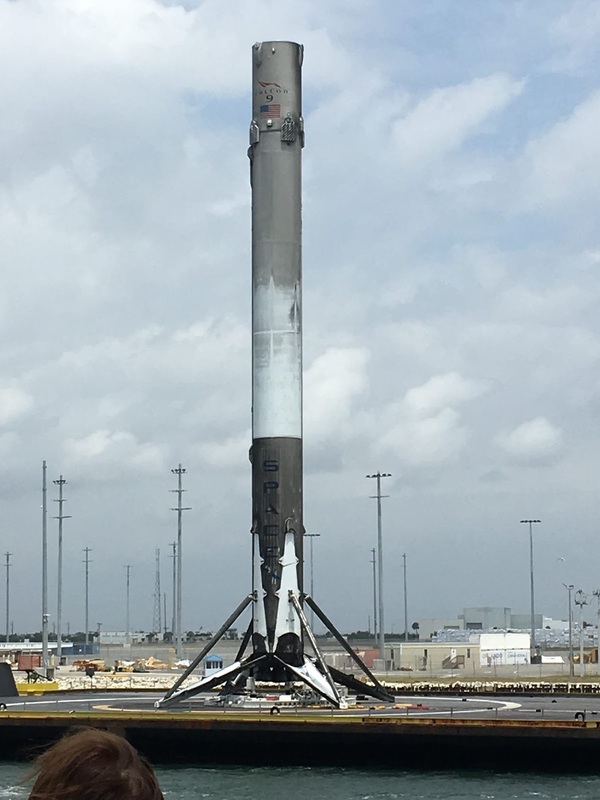 Lots of good info in the SpaceflightNow.com article. Spotted Charles's note on Facebook regarding TESS. He says they are good to go for tomorrow. 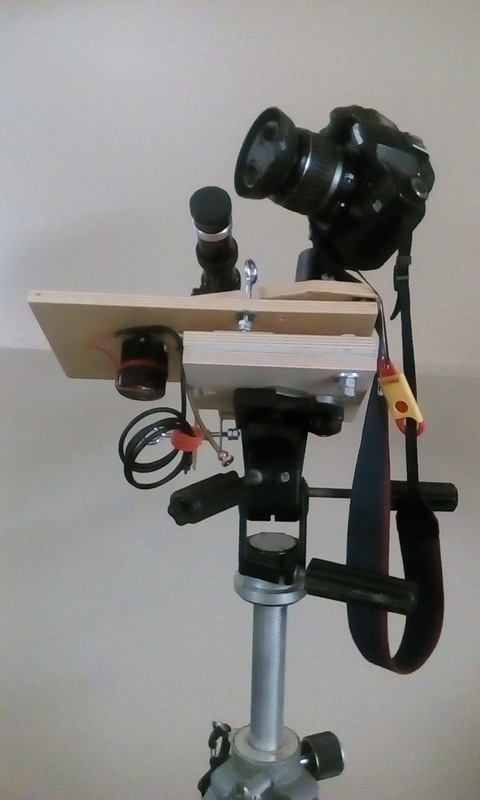 Found a good comparison of tracking mounts. It compares camera mounts I've heard of like the Star Adventurer and the Polarie with ones I've not heard such as NanoTracker and Minitrack-LX. The article by Lorenzo Comolli, while dated, contains mini-reviews of the units with a large table showing features and capabilities. Nick recently put out a query on the RASC TC forum. He wanted to know good sources for supernovae and comets. He indicated he preferred a simple website. He said he found "some resource websites are not very intuitive or user-friendly." Bryon suggested aerith.net for comets, specifically the Weekly Information page. Eric said "the best site for... supernovae is not far away, just over Lake Ontario in Rochester, NY." I wondered what Nick might think of this as I find Latest Supernovae page challenging to decipher. I reminded Nick that his SkyTools Starter Edition software should help. 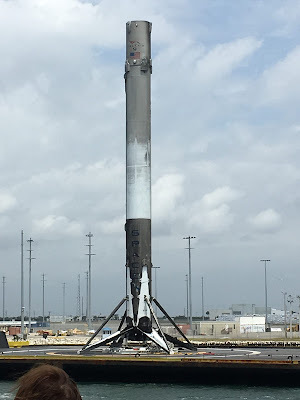 Learned the TESS launch was scrubbed for today! Grace (on Facebook) and Tanya (on Twitter). No reason why yet... I think I read somewhere that there are no good windows until later in the week. Standing down today to conduct additional [Guidance, Navigation, and Control] analysis, and teams are now working towards a targeted launch of @NASA_TESS on Wednesday, April 18. The next launch opportunity will come at 6:51 PM EDT Wednesday. The launch times change based on TESS's orbital target and the position of the moon, which the satellite will use to help maneuver into its final high-altitude science orbit. I was glad to see the Toronto contingent made it out of the ice storm for Florida for the TESS launch. Wood finishing aside, finder cross-hair repair aside, the integrated altitude-azimuth base for the barn door tracker is done. From first thoughts to today, 2 years, 2 months, and 5 days. A long journey surprisingly but satisfying. I'm excited to try it. Overall I'm very pleased with the build. And it accomplishes something that I wanted, that it is a complete DIY solution, drive train, electronics, barn door wedge, and now alt-az base made of the same materials and accessible hardware, constructed with tools available at home. w00t! I suddenly realised I could complete the azimuth adjuster of the barn door tracker. While looking at web pages for ideas on how to fasten a metal nut to a metal plate and discovering threaded rivets and wondering if I had a J-nut that might fit, it registered: I could make a threaded hole in one of the brass L-brackets, employing my rarely-used tap-and-die set. Right! Decided to tap the outer bracket and lock the bolt in the inner. Grabbed a fresh bracket from the 4-pack, drilled a 13/64" hole, lubricated with lighter fluid, tapped with the ¼-20 tapered tool, and then bolted everything up. And, amazingly, it is fully functional. I missed it! There was a recent interesting Mars milestone. I was checking the S&T Mars Profiler and noticed that the Earth-Mars distance was 0.98 astronomical units. I missed the 1.0 AU boundary. Must have happened a short time ago. Found a container that will work as a cap for the finder scope. Rhonda had the ends of a supply of bath salts in a small diameter clear tube. It will work well I think. Discovered that one of the cross-hairs broke or snapped in the finder scope. Oops. Probably happened when I knocked it over, the first time. Or maybe the second time... Uh boy. Gotta fix it again! Asked Rhonda if she could donate to the cause once again. More work on the barn door tracker alt-az base. Drilled new holes for the motor, which sits to the outboard side now. Notched the bottom plate of the alt-az plates to improve clearance issues. I see there's the possibility of the curved rod touching. Countersunk the new tripod T-nut in the alt-az bottom plate. Went down about 1 or 2 mm into the wood. Drilled a new hole in the outer L-bracket for the azimuth adjustment screw. This aligns with the existing hole on the inner bracket. Decided to mount the screw handle on the "outer" side as I imaged it will get crowded around the tripod head. Trimmed the cut or drilled pieces of the bottom tile to remove rough spots. I found the finder scope bracket was mounted backwards. I think. Flipped it around. 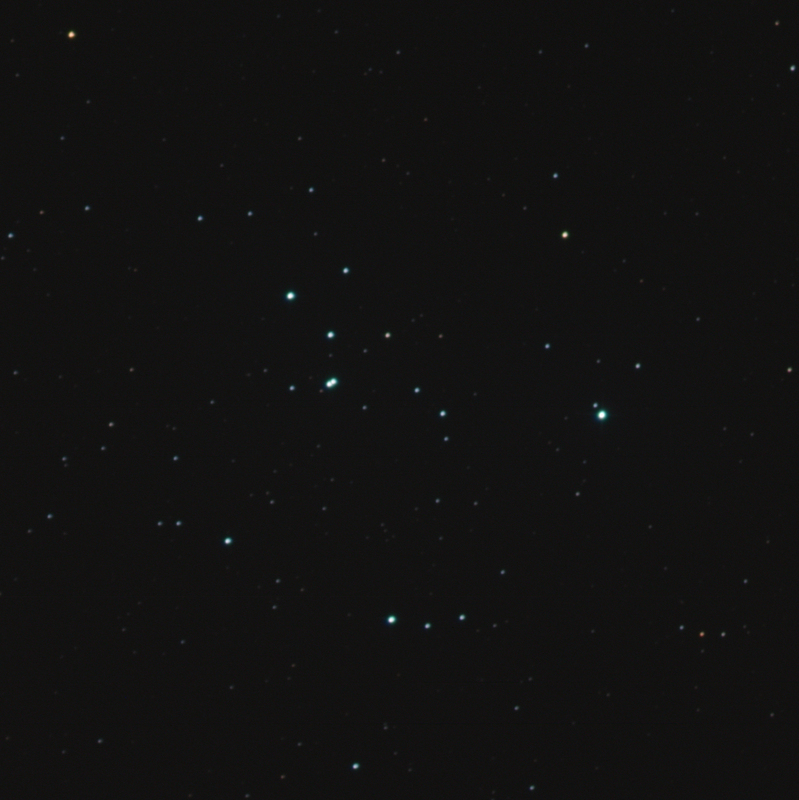 Processed Messier 47 in colour using the LRGB data from 20 Dec '16. Most of the stars are blue-white. Luminance 1x20, RGB 1x10 each. FITS Liberator, Photoshop. It's elegant, I think, the pivot away from the hinges and the azimuth adjuster completely out of the way. I'm running out of ½" number 6 brass screws... Cut down some longer screws. Attached the top plate of the alt-az to the hinges. After a couple of attempts, installed the altitude adjuster using an eye bolt, t-nut, and mending plate. 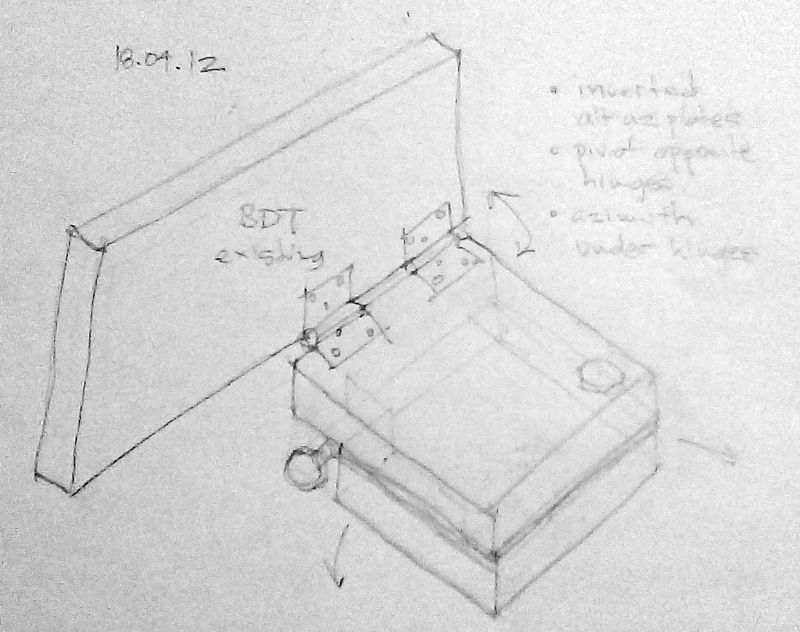 Had to ensure clearance between the finder scope and the triangular moving plate of the BDT. Locked two nuts on the eye bolt just so it can't go astray. It works great! After clamping the alt-az plates together, I bore a 3/8" hole for the pivot bolt. Installed the bolt with washers and locked the two nuts together. It too works great! Smoother than I anticipated. Determined where to place the azimuth adjuster parts. At first I thought I had a new problem with interference with the hinges; when I realised I could put the L-bracket in a different orientation and between the sliding plates, I knew I could move forward. Notched the bottom tile plate for the L-bracket. 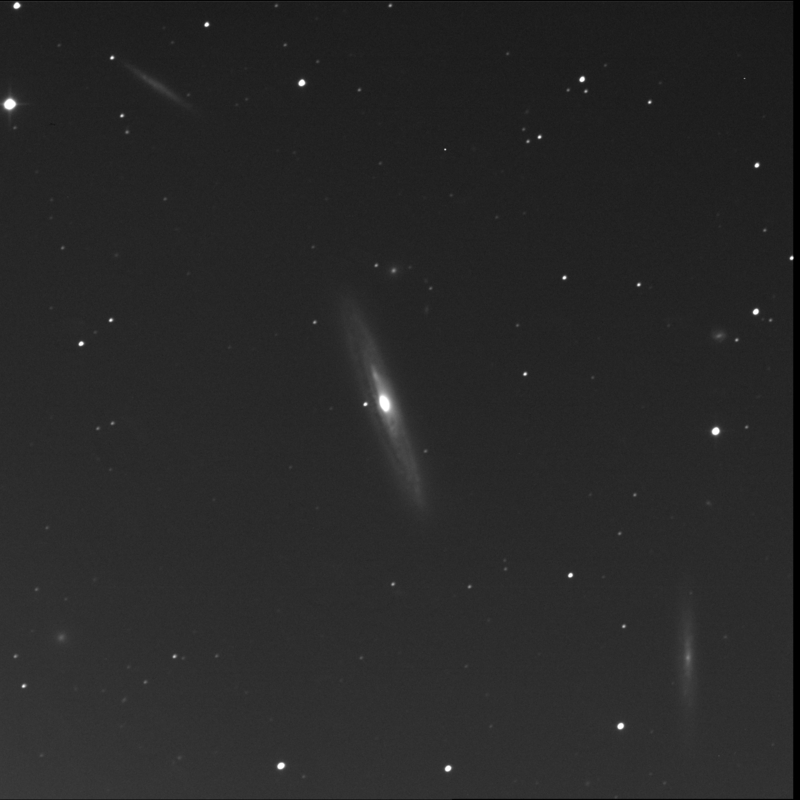 The capture of NGC 4517 even though not in ideal conditions checks off another box. 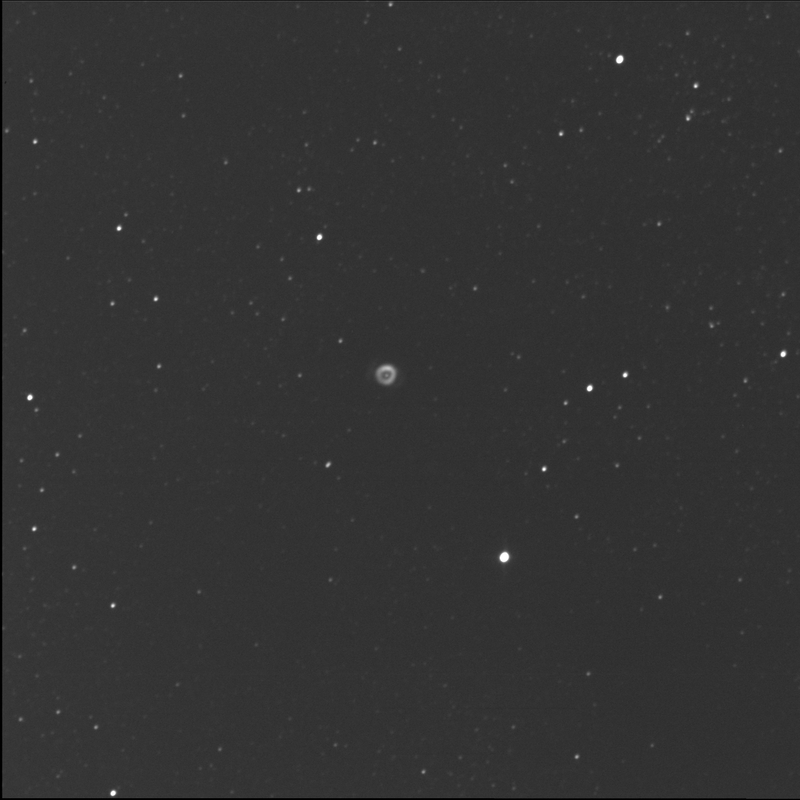 One more RASC Finest NGC photographed. Nearly done. Wasn't expecting anything as the Clear Sky Chart for Halifax did not look good... No email alert from CSAC. 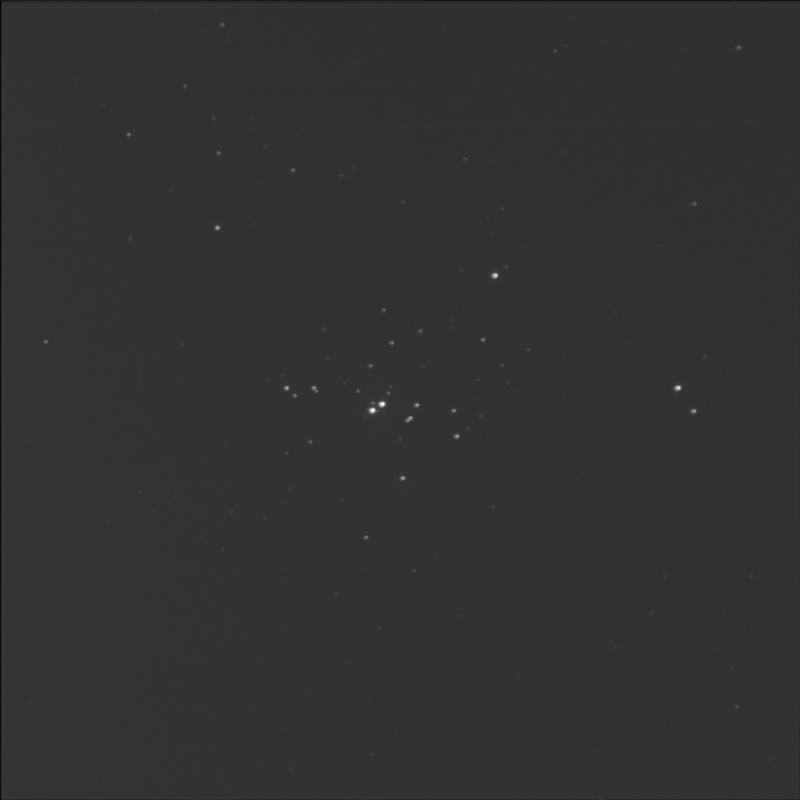 But BGO was up and running I guess and tried to shoot NGC 4517 at 12:28 AM EDT. A message however was generated at 1:02. "Your special observation... was not fully completed!" Uh huh. Only luminance and red data was collected. 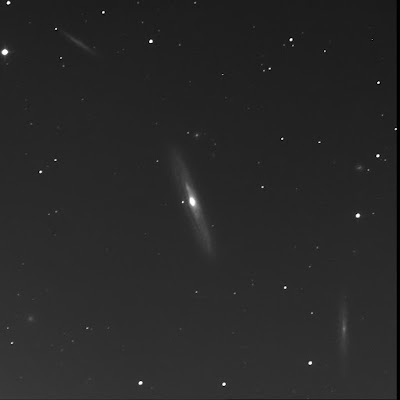 This needle galaxy in the constellation Virgo is a RASC Finest NGCs. It is referred to as NGC 4437 in some catalogues. Other designations: PGC 41618 and UGC 7694 and MCG 0-32-20. For BGO to work, I had to use the 4517 moniker; in SkyTools 3 Pro, I used 4437. The edge-on spiral galaxy appears dappled with dark material. Despite the low image quality, it is very interesting. The right edge, west, appears stretched or elongated. Reminds me a bit of The Whale. 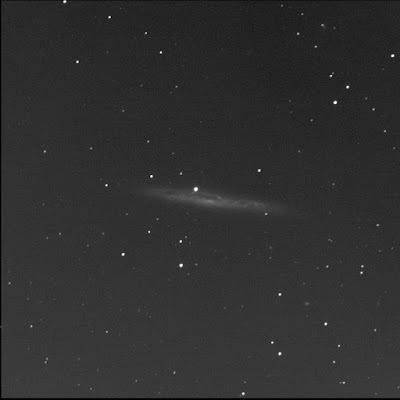 North-north-west of the big galaxy, in an empty dark space, is a very faint round smudge: LEDA 1161319. Very close to a star in a diamond pattern is a round fuzzy, slightly brighter: LEDA 1161987. To the south-west, there are many small, distant galaxies. Close to 4517 is a small bright almond: LEDA 1156277. Beyond is a very small but bright round fuzz ball: LEDA 1155353. South is a larger brighter oval: PGC 41566. 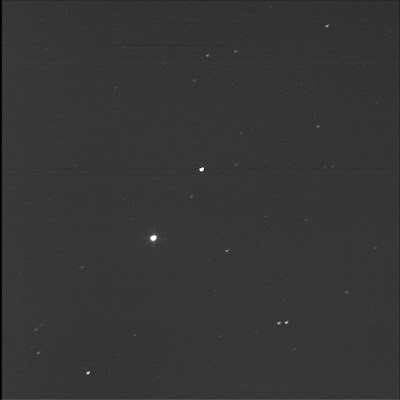 LEDA 1154647 lies to the south-east. It is a curious shape, like a wedge. 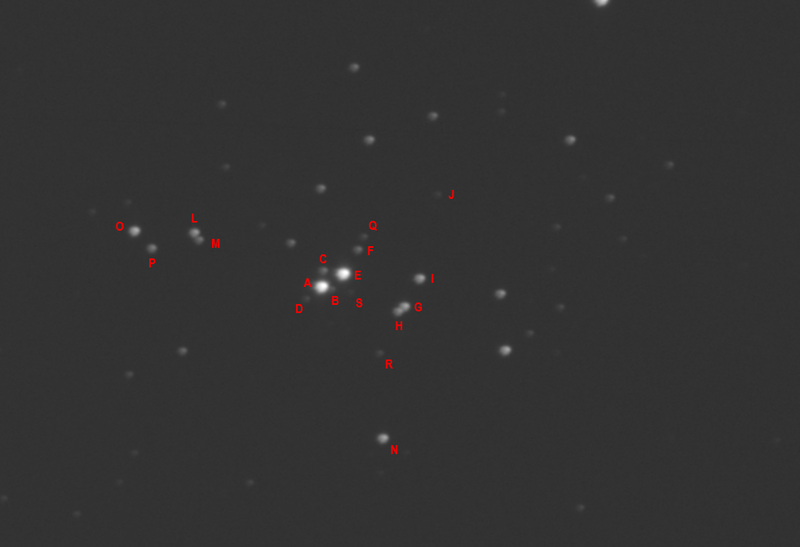 It might be among 3 or 4 other tiny, faint galaxies! Further away is LEDA 1153315, a tiny seed-like shape. LEDA 1156614 is east of the trapezoid of stars south-east of the big spiral. Perfectly round and small. 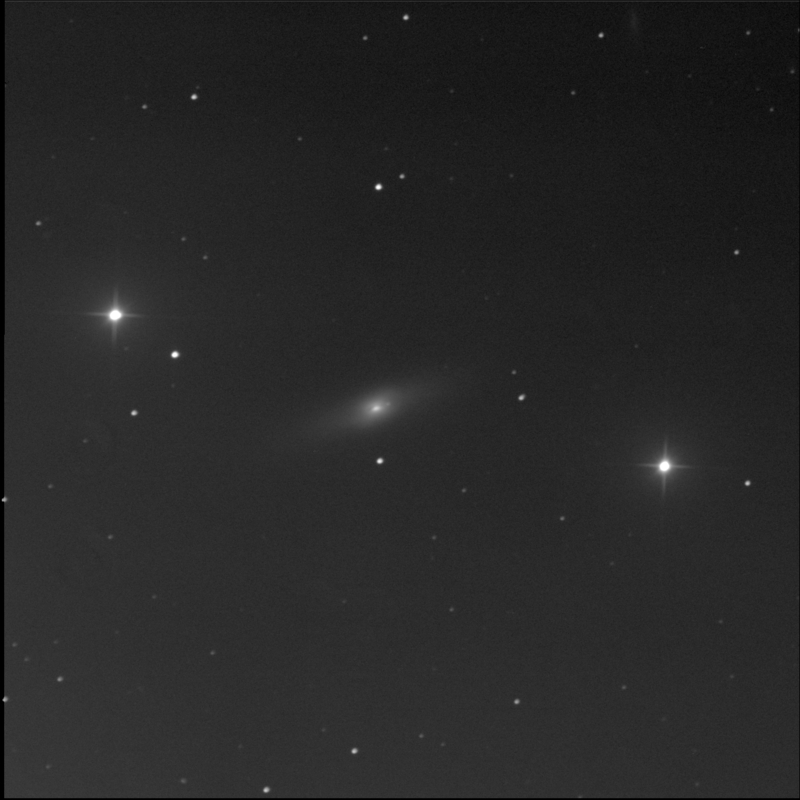 I also spotted the very tiny faint smudge east of NGC 4517: LEDA 1157892. Observing the time it takes for two stars to orbit each other in a binary system is still the only direct way to measure the mass of a star - knowledge that is central to the study [of stars]. He uses a stopwatch and calibrated eyepiece to measure doubles. He notes that one can use Aladin with their own photos and it will calculate the separation and position angle. Found Jason Nishyama's article entitled "Measuring Double Stars" at the Calgary RASC website. 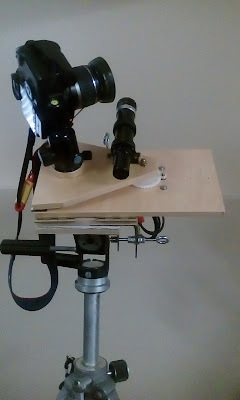 He walks through the whole process for people using either an alt-az or equatorial mount. He also discussed how to compute separation and position angle from photographs. There's a bit of math but he presents the topic clearly. Some of the most beautiful and intriguing objects in the night sky are not enshrouded in nebulosity, shaped like rings or dumbbells or eagles, or crossed by mysterious lanes of dark, cosmic dust. While I like faint fuzzies, doubles offer glittering gems with real colours. Tracking down and observing double stars can be like going on a nocturnal treasure hunt. Well put, if I may say so. Then, later, the author laments. 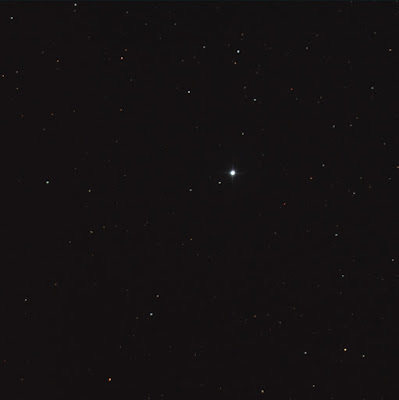 With all this beauty and interest going for them, you would think double star observing is one of the most popular aspects of amateur astronomy. 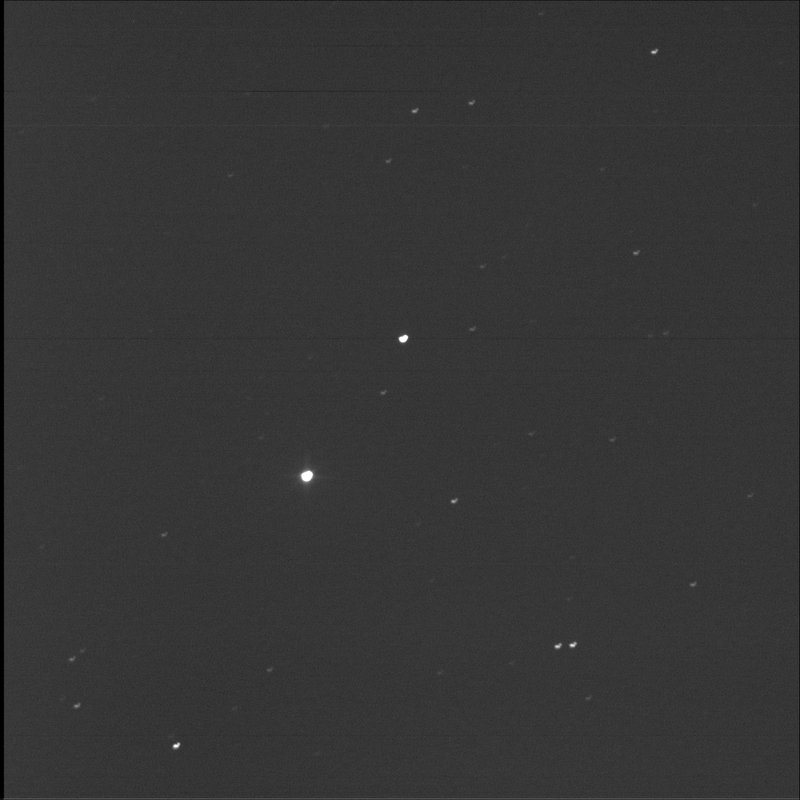 And yet, although this facet of amateur astronomy has a respectable number of participants, it does not currently enjoy as much popularity as it has in years past. This, while sad, is affirming. I'm not the only one who feels this way. Why are double stars not popular today? Spotted the item posted by Charles on Facebook. The Transiting Exoplanet Survey Satellite (TESS) in the fairing it ready to be mounted. 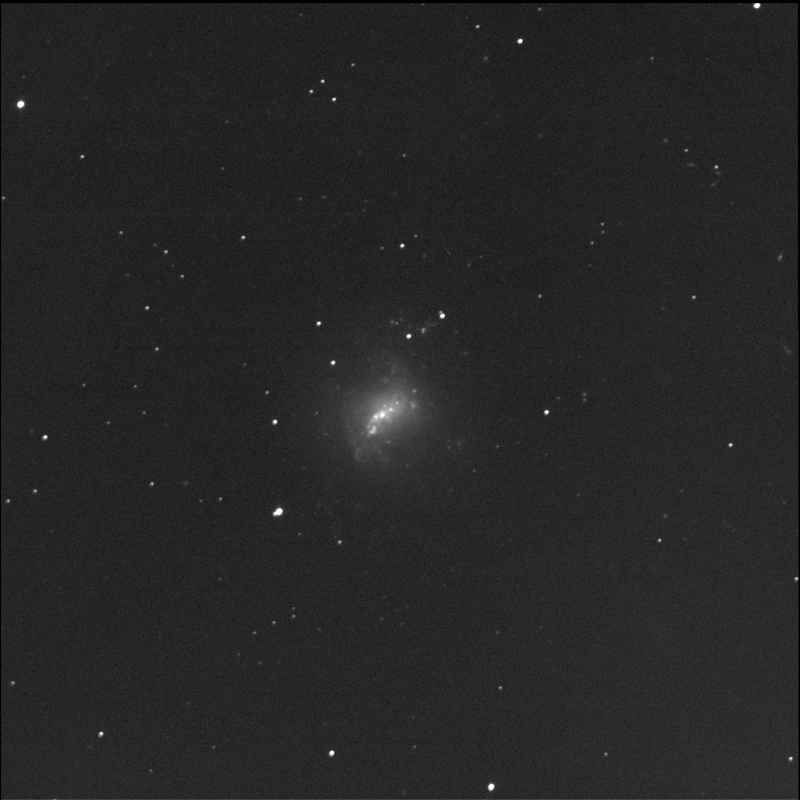 I tried imaging NGC 4214 with the BGO before in July 2017 but the results were not great. The robot captured more data again. This time when the galaxy was nearly straight up. Looks like a cosmic ray hit north-west of the galaxy. 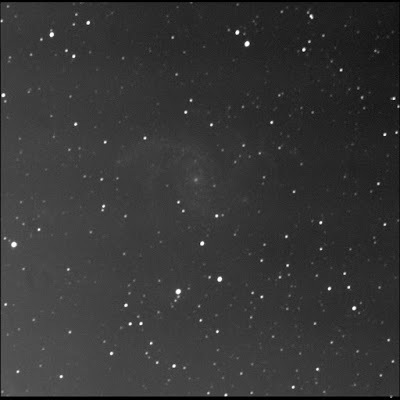 The capture of NGC 6445 means that I have seen 109 of the 110 RASC Finest NGCs. Holy Universe. One to go! 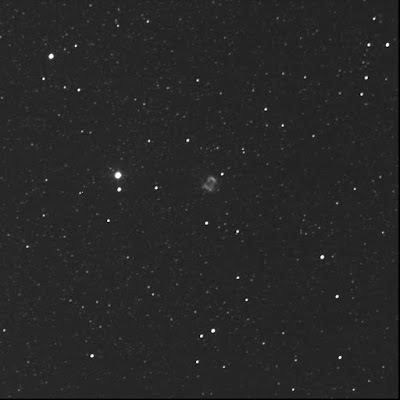 The BGO robot photographed the Little Ghost Nebula also known as NGC 6369. A planetary in the constellation of Ophiuchus and one of the RASC Finest NGCs. It's also a Herschel 400 target. Very nice. Originally, this is a target that I thought was too low for the Burke-Gaffney system. Alas when I learned that the default minimum altitude was not the lowest possible, I happily added this NGC object to the queue. It can reach a maximum altitude of 21°. A lovely little donut. In a rich field of fine stars. The ring is brighter along the north edge. The central star is easily spotted. Slightly off centre. I believe I see hints of a shell beyond the main ring, particular to the top-left (north-east) and bottom-right sides. I first viewed this tiny target in August 2011. Retrieved narrowband data on 14 May '18. 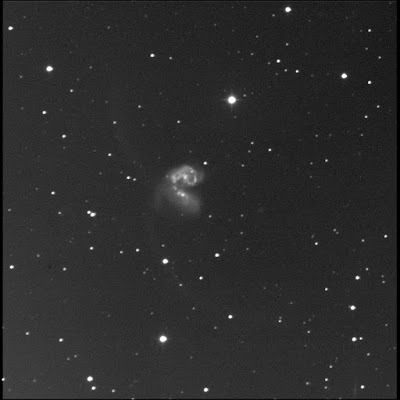 Wikipedia link: Little Ghost Nebula. Ha! Spotted a cap or polar scope and illumination dust cover for a Vixen Super Polaris on MakerBot Thingiverse. Two designs actually. One for the mount proper, like what I did; and one for when you leave the red illuminator installed in the mount. How about that. Unfortunately, I didn't see an end cap for the ocular of the polar scope proper. There was a listing of stars from E. Interesting. Could E actually be considered the prime in this system? Correlates very well with the photograph. 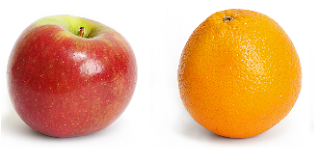 Looked at the STF 484 reference, i.e. the Σ 485 G star. Correlates well with the photograph. Checked the HZG 2 reference. This seems to be the STF 485 N star in SkyTools but that doesn't look right. Based on the J2000 coordinates, I think it is STF 485 I. The WDS says the "K" star here is mag 15.3. Oh. Not seeing that. But if this is all correct, then I can see the J and R stars in the photo. Wow. And finally, I examined the HLM 3 data. What SkyTools says are the K, L, and D/O stars. Correlates well with the photograph. The "primary" is this situation WDS says is mag 10.4 while the companion M, to the south-west, is mag 11.4. O is the brighter mag 9.4 star to the east. Once again, this data set adds another star to the mix, P! It is the fainter star to the east-south-east, closer to O than L.
Created an aggregate plot for the other stars. J is the very faint mag 13.3 star north of I. The SkyTools K star is a mystery but now there's dim M south-west of L. I'll take it. 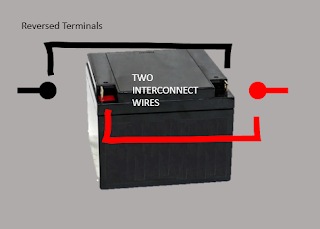 P is south-west of O. Dimmer. 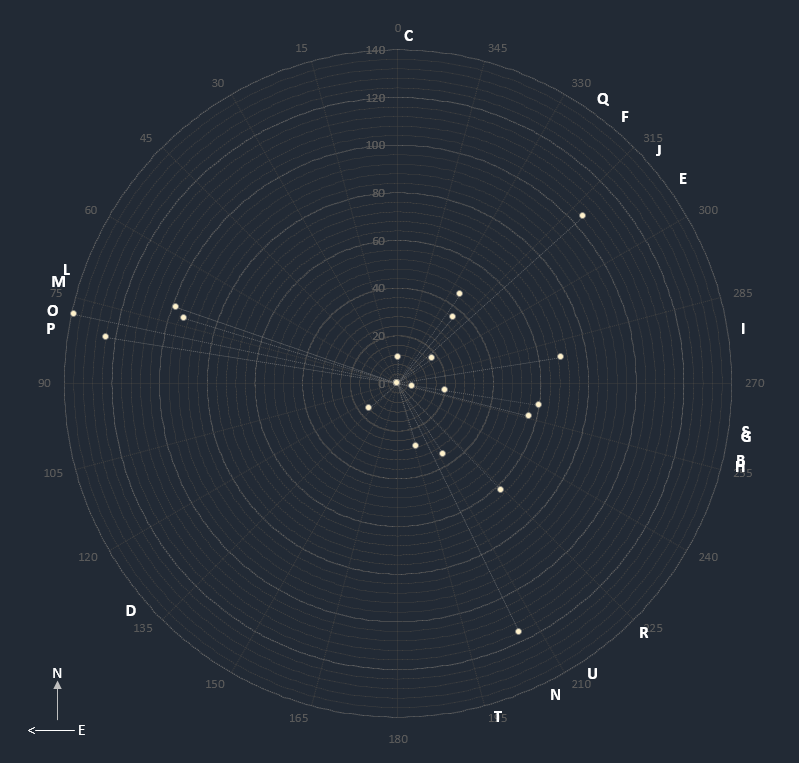 R is the very faint star south-south-east of GH. 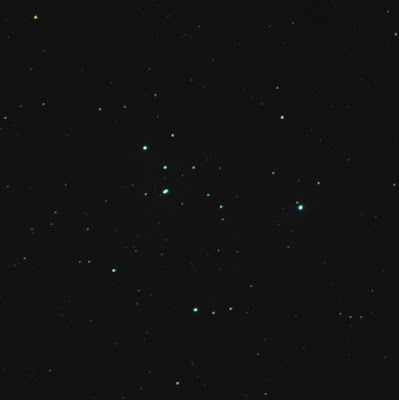 The new annotated image includes the additional stars. Did a deeper dive into ES 2603 extracting the current values from the Washington Double Star database. Oh. More stars. Not entirely surprised by that. Or J. But that might be correct in that I don't see anything at the J location in SkyTools 3 Pro. Generated a plot of the positions and separations with my latest generation spreadsheet. The positions of B, C, E, F, H, I, L, N, and O look pretty good. D is markedly different. WDS says this is close to A, to the south-east, at mag 14.1 as opposed to what SkyTools shows, with D near O. This faint star is visible in the image! ST3P did not list a G star; WDS shows it near H. Ah ha, the tight pair in the photo. 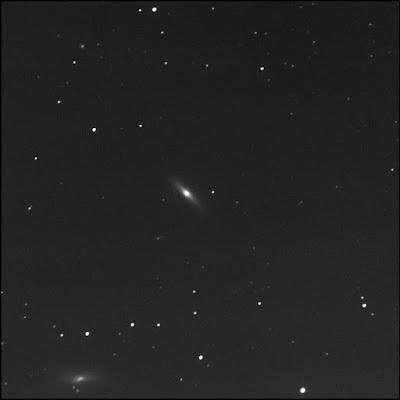 G is brighter at 9.6 and slightly further from A at 60.3" while H is mag 10.5 and 57.0". G is at an angle of 261 vs. 256 putting it north of H. This all checks out. The WDS includes Q. It says this is north of F at mag 13.2. F is 11.7. This checks out too. 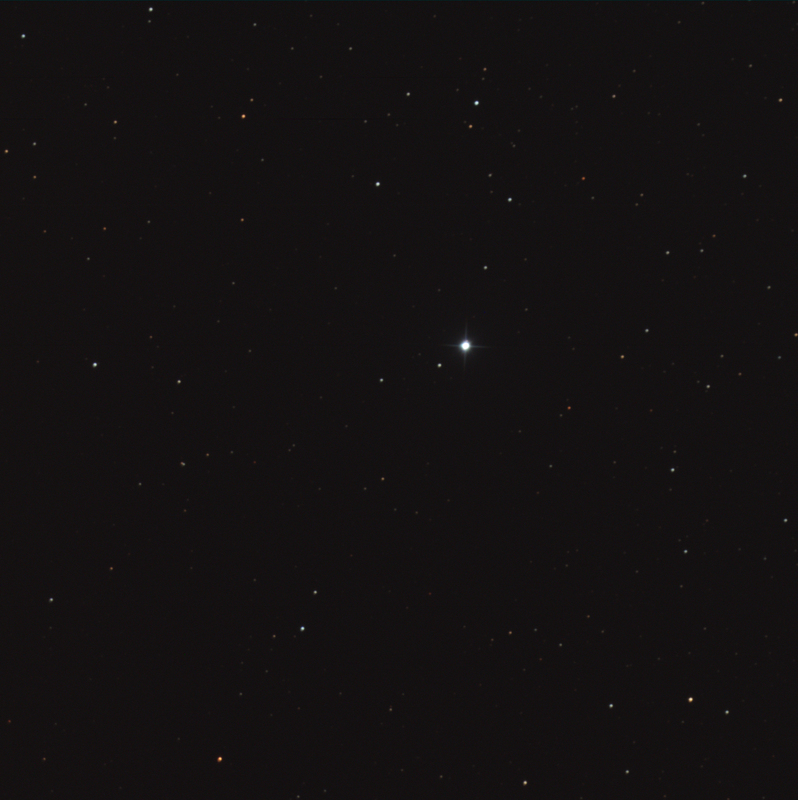 The S star is purportedly a mag 14.1 star beyond B. I think I have captured this in my image! Just barely visible. The T and U elements from the WDS I do not see in the BGO photo. They are south-south-west of A. The USNO database says they are magnitude 15 stars. Ah. That's why. While checking the double star database, I looked up the magnitude value for B. Oh, it's listed at 12.9. There you go. Rather dim. Which matches what I am seeing in the photo. There is more data offered in the WDS but I did not review or cross-check these. Sent Peter R my teardown notes. He's offered to open up his Nautilus power pack. Shared my notes with RASC TC members on building a solution for power astronomy equipment. I suggested my solution is cheaper in the long run. Provided links to my past posts and to my 2012 presentation. 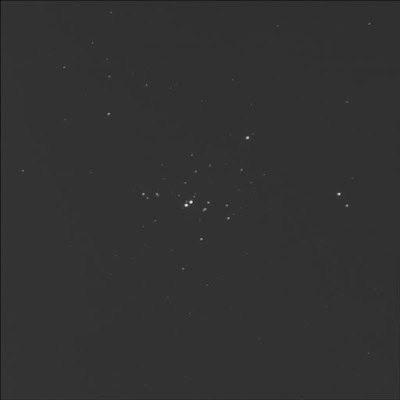 BGO captured open cluster NGC 1502. This cluster in the constellation Camelopardalis also harbours the multi-star system HR 1260 aka ES 2603 and STF 485. 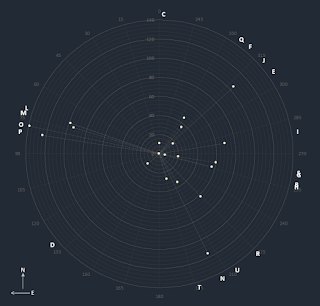 The NGC proper is one of the Herschel 400 targets. Rhonda and I had viewed this with my C8 on 17 Mar but I never really had a chance to dive deep. 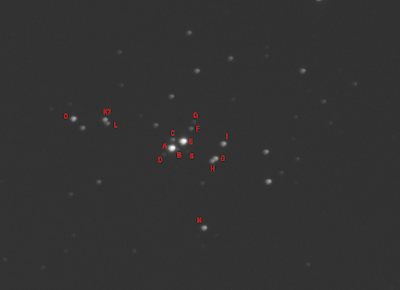 The two obvious bright stars at the centre of this grouping I believe are A and E. SkyTools 3 Pro says A is magnitude 6.9 as it E. A is to the left or south-east; E is north-west. ST3P shows the B stars to the right of A and mag 7.1 with a separation of 6.5" but I don't see this. This is an extremely faint star in the image. Could that be it? The C comrade appears to be north of A and east of E. It is much dimmer than A and E. ST3P says mag 10.4. D is an associate far away. It is to the east of centre in a grouping of four stars, something of a squished rectangle. D is brighter than C. ST3P says 9.4. 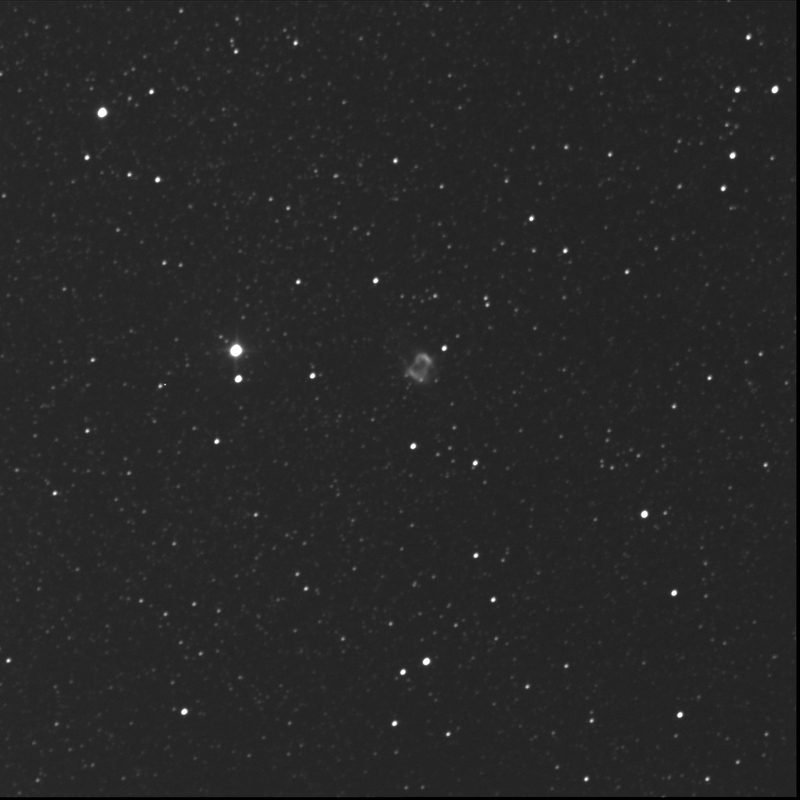 SkyTools shows F (at mag 11.2) as a solitary star north-north-west of E but I see two stars in the image. Perhaps it is the dimmer upper (northern) star? The software does not show a G element. The I accomplice is west of E and north of H. It seems in the image to be the same brightness as H but ST3P says it is mag 9.8. Friend J? I don't know where it is. SkyTools says the mag 9.3 star close to and north-west of C but there's nothing there in the image. But F has a consort that does not show in the app. Has J moved toward F? Or is the software showing J is the wrong spot? K is back to the east, near D. The mag 9.1 star is due west of D, close to another star. 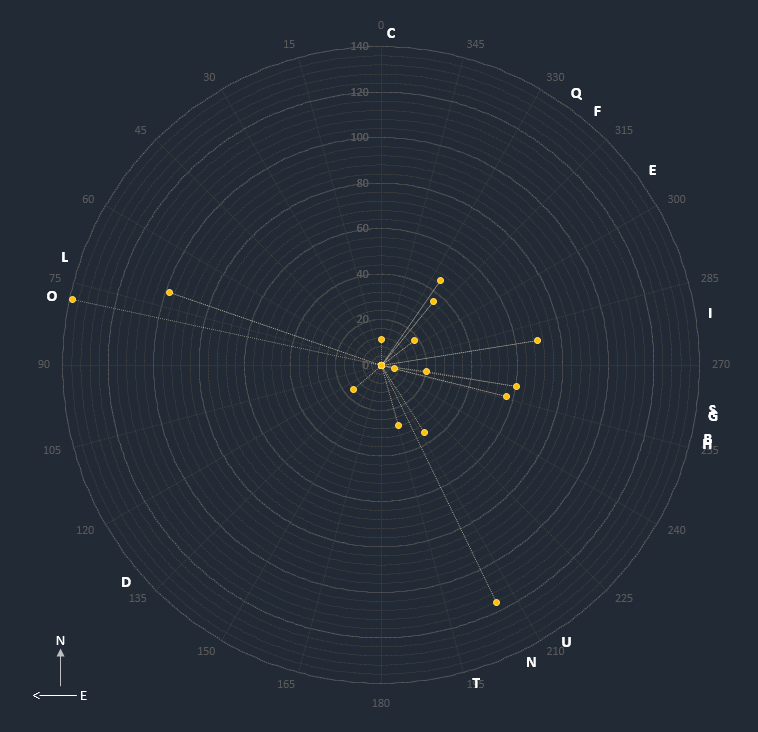 In fact, the star very close to K is L. The mag 11.4 star is south-west of K. K and L are noted as HLM 3. SkyTools does not refer to a M companion. Partner N is well away to the south-south-west from centre. The mag 9.6 star is almost due south of H. Also known as HRZ 2. SkyTools says O is a mag 9.4 star very close to D, less than 1 arc-second to the south. I don't see this. If it is real, it would be too tight for the BGO system. 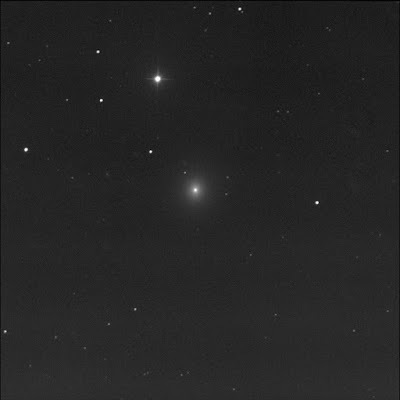 The very wide, bright pair to the far right or west in the image is HD 25498 aka CTT 7. Virgin completed a successful test after firing up the Unity rocket motor for a brief "partial duration burn." Noted the tweet upon the touchdown. They shared some video: uncouple, engine firing, engine shutdown, coasting, and touchdown. Rhonda and I, before she fell asleep, talked about far away things. She asked if I had seen the news about the oldest star. I shared I had glanced at the headlines but not looked in detail. She said it had been nicknamed Icarus. I said I wasn't surprised by these types of discoveries. Our processing of data from space telescopes continued to improve so we were reaching further back all the time. Things that distant were often measured by their redshift values. I told rho how Ian W and I had enjoyed viewing quasars with very high redshifts and light-times on the order of 10 billion years. About 2/3rds of the age of the Universe. Before our solar system had formed. Didn't that make the hairs on the back of your neck stand up? I reminded her that she had seen some pretty distant (way back) things in space-time. The Andromeda was 2.5 million light-years away. Some of the Messier galaxies are really far back, to the time of the dinosaurs. 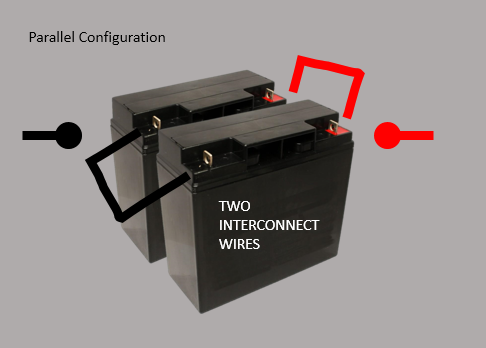 Another member, "wlegrow," wondered if Torbram Electric Supply might have replacement lead acid batteries. He said they stock just about anything. 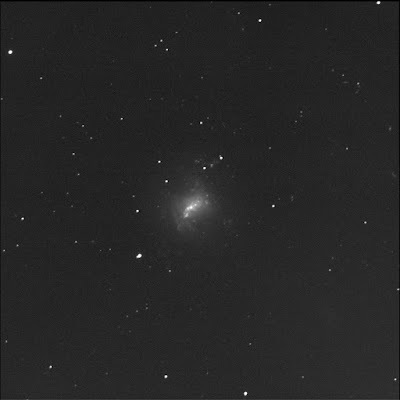 BGO also imaged NGC 4494. This is an elliptical galaxy in the constellation Coma Berenices. Another one of the RASC Finest NGCs. A strange little oblong shape shows north of the big galaxy: IC 3449. It's a good distance away, near the top of the image frame. 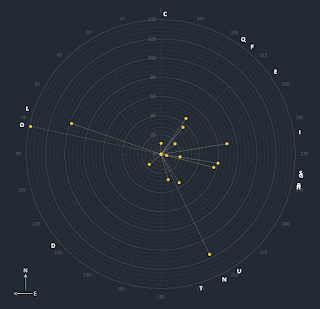 It is north-west of the star HD 109030. I believe there's something due east of centre but it is not identified in SkyTools. Aladin says it is 2MASX J12314455+2547098, a galaxy. Whoa. Two nights in a row. 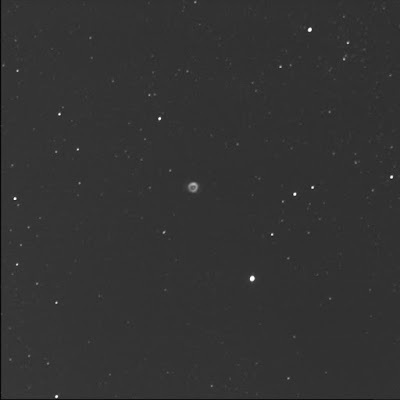 The Burke-Gaffney Observatory robot imaged NGC 4526 for me. 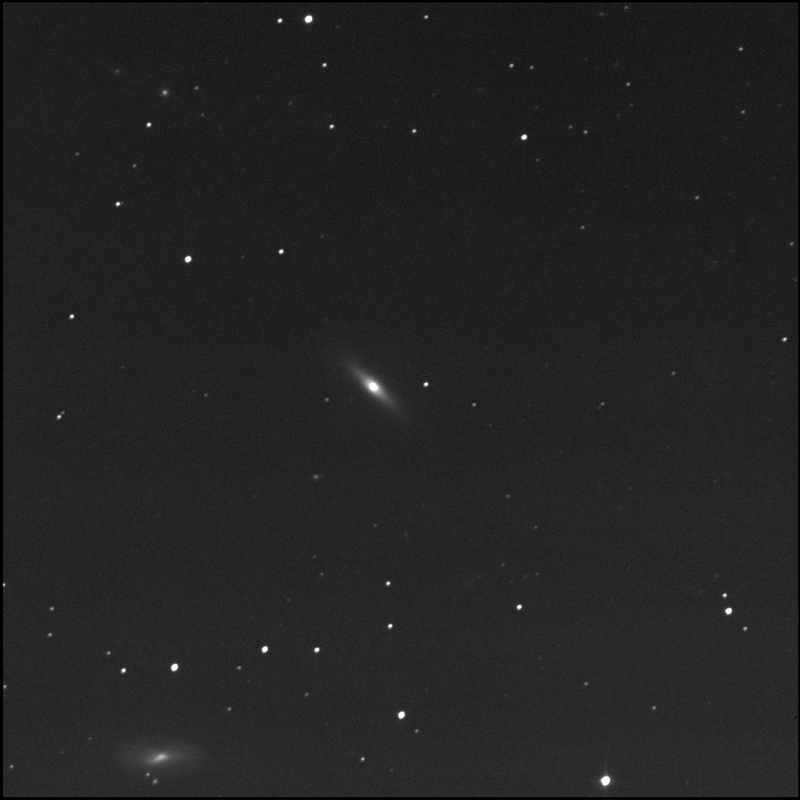 A canted galaxy in Virgo. It is one of the RASC Finest NGCs. The dark lanes near the core are just barely visible, an arc along the north. Ghostly MCG 1-32-97 is visible to the north-west on the top edge of the image, a long vertical smudge. Tiny round LEDA 1332022 is just visible to the north-east. Rhonda and I monitored the re-entry of Tiangong-1, the Chinese space station, using the Heavens Above and ESA satellite web sites. The eight-ton vessel went down over the Pacific ocean. No need to grab our Go bags... Or Go-Go bags. I enjoy this astronomy video by Alex Gorosh. It captures many of the typical reactions when people look through a telescope for the first time. It is fun sharing the sky. 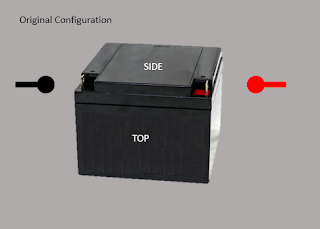 I put out the word on the RASC Toronto Centre forum a couple of days ago about our Nautilus battery replacement situation. Eric P jumped in. He bought the Nautilus power pack about 8 years ago. 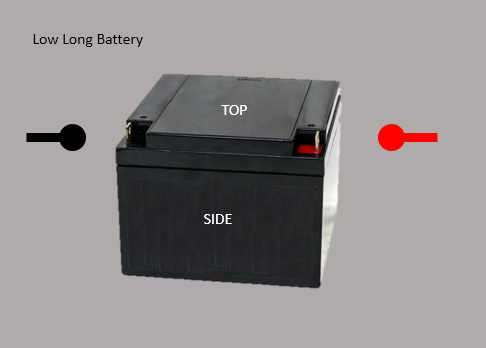 He carefully charged it but the battery died after about 11 months of casual use. It is now collecting dust. He also shared that Arnold bought two of these and had trouble with both. Interestingly, Eric's Motomaster Eliminator is a couple of years older and works like brand new. 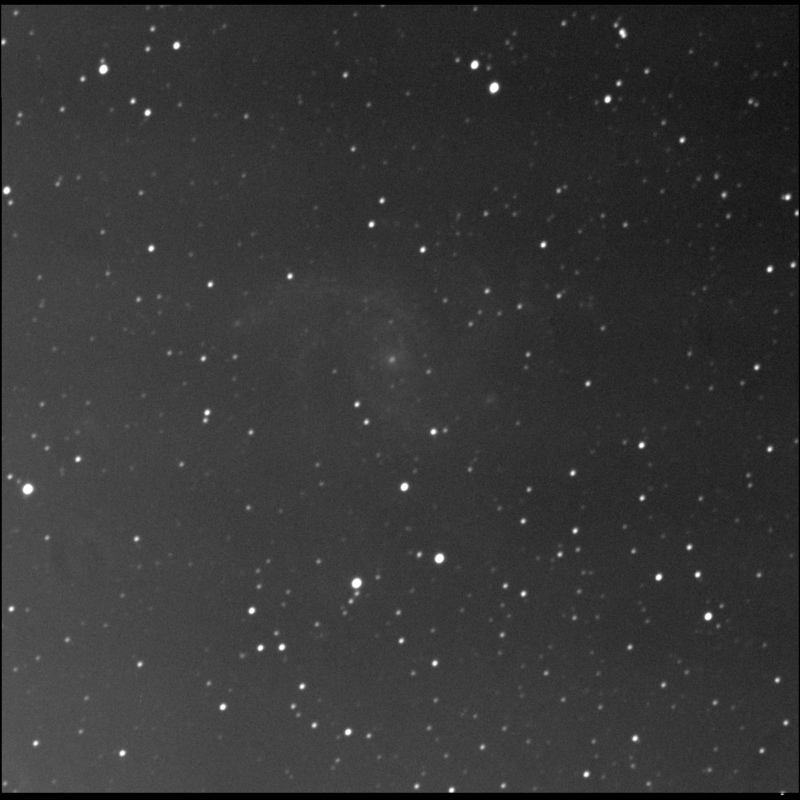 It's been over 2 months since I received an image off the supernova SN 2017 eaw within the Fireworks galaxy. The BGO gathered some data last night. The exploded star is almost invisible now. It is dimmer than the nearby star J203443.9+601103 which is magnitude 17.6.